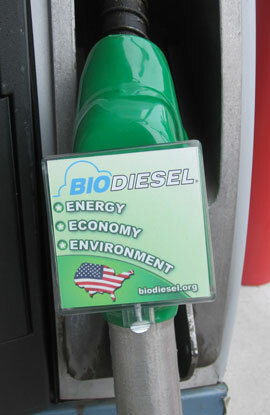 Biodiesel is a clean-burning fuel that can be made from U.S. soybean oil or other renewable resources. It offers fuel economy, horsepower and torque similar to traditional diesel fuel, but with fewer harmful effects on diesel engines, the environment and human health. Since it is made in the United States, biodiesel decreases our dependence on foreign oil, boosts our nation’s economy and supports thousands of jobs. Diesel users have more options than ever when it comes to filling up with biodiesel. Many petroleum retailers now make biodiesel available at the filling station. In fact, the number of biodiesel retail locations continues to grow in the United States. You can use an interactive map developed by the National Biodiesel Board to find a site to fill up with biodiesel near you. Learn how Biodiesel Works for soybean farmers, animal agriculture, and rural economies. View the latest version of the New Jersey Soybean Handbook. You can also download a full PDF version from within the viewer. Soy offers manufacturers a greener, cleaner and safer way to make everything from candles and couches to fuels and paints. This interactive guide will give you a closer look at the soy-based products available today. © Copyright 2019 New Jersey Soybean Board, Inc. All rights reserved.